As a community of faith, we believe that God has set for us, His children, a number of priorities that foster our ability to Love and be loved by God and others, and to be witnesses of that Love and the hope we have in Christ to the world around us. The priorities that we highlight as a worshiping community are Prayer, Worship, Growth, Service, and Mission. If you would like to join with us on Sunday mornings, we begin our worship time at 10:30 am and are usually done between 12:00-12:15 pm. Of course, conversations continue well beyond that on some Sundays. Reflecting the diversity found in Rogers Park, Family Empowerment Centers enjoys a multi-cultural, multi-lingual church community. We offer a blend between traditional church and a small group gathering that is conversational in style. 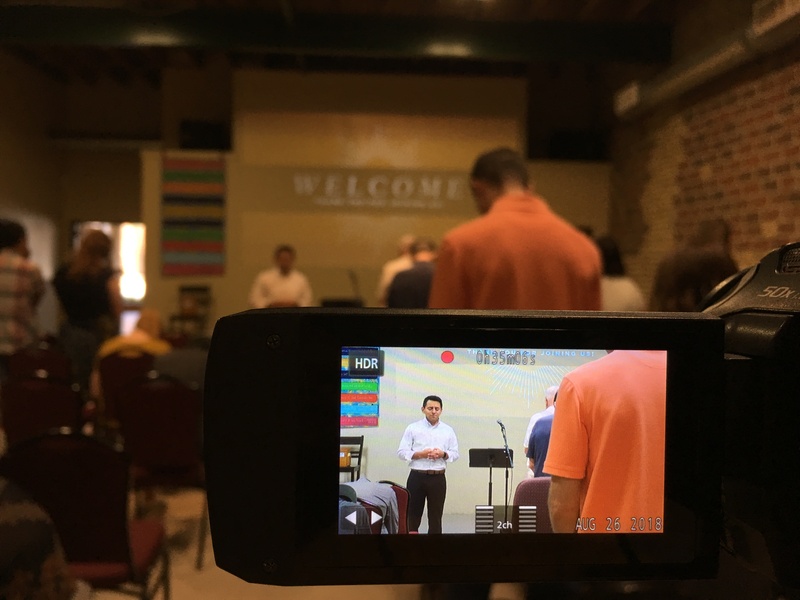 Our worship is often a mix of English and Spanish songs with a contemporary feel. We have a high value for Biblical teaching, and a team of pastors rotate to lead the discussion of a particular passage of scripture. While children participate in the worship time, we provide Children’s Church during the service for children (toddlers through 5th grade) while the adults have their main teaching time. We also bridge the adult learning with what the children are learning in order to create conversational opportunities about the teaching throughout the week between parents and children. Ecclesiastes:This author begins in a place where he is tired from watching life play out. A crucial part of maturing in our journey is to put words to our struggle. 4.7.18 Ecc. 1 It is good to learn how to talk to God when you struggle with your purpose. 4.14.18 Ecc. 2:17-26 Work is one purpose of life. Whether we find peace and rest in that or not comes from God. 4.21.18 Ecc. 9 The purpose of life is not only struggle. God created us to live fulfilled lives, finding peace with the people around us. 4.28.18 Ecc. 11:7-12:14 We must voice our questions to God and take stock around us, but at the end of the day, the purpose of life is to pursue righteousness and seek God. 5.2.19 Judges 4 God uses a willing heart. 5.12.19 Judges 6-7 Gideon encounters a God who asks him to take the leap of faith and know that God is powerful.